From one lifetime to the next we all inevitably pick up hitchhikers who come along with us for the ride on the journey of our soul. Parasitic thought forms made their way into Creation as a byproduct of the illusion of separation from Divinity. Separation birthed fear and parasitic entities were born from that fear, and therefore it is fear they need to sustain themselves. Unwanted entities attach to human hosts that can provide this sustenance for them. Negative entities will attempt to induce fear in us to keep their ‘food’ supply going. However, fear is not a natural state of being for humans and so it is the cause of sickness. We were born from Love, and so it is Love that we need to heal and thrive. The push and pull between fear and love produces traumas at the soul level, causing us to manifest fearful situations, allowing fear to multiply, thus increasing the food supply and perceived strength of the negative entities that are attached to us. In moments of intense fear parts of ourselves become fractured, leaving us at odds with ourselves, swimming in a sea of discordant energies. These traumas and parasites often cling to us through many lifetimes weighing us down and keeping us from manifesting our highest good physically, emotionally, mentally and spiritually. Not all energies we carry are necessarily ‘bad’ or malicious. Some are the result of deep emotional bonds with lovers or family members that leave residual energy in our field, usually unbeknownst to either party. Whilst we may think there is no harm in these types of energies being in our field, we must release them not only for our own good but for the good of those to whom the energy belongs. In order for us to become pure beings of Light we must release all energies that do not belong to us ‘good’ or ‘bad; and we must reintegrate all energies we have left behind throughout our many lifetimes. Our mission in life is simple. It’s to become whole within and unified with the Creator/Universe/All That Is. Much attention has been given to the subject of mind parasites in recent years. This is not surprising given that we are in the middle of a mass purification process whereby all that is hidden is being revealed. Parasites of all kinds are very good at hiding to ensure their survival. 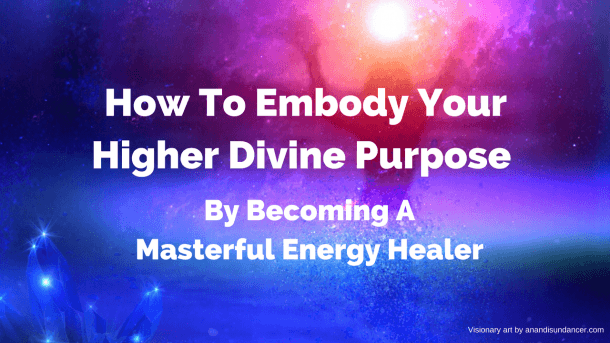 Whilst not always a popular subject amongst energy workers, it is nonetheless vital that we remove negative thought forms and entities from our experience so that we can allow more Light into our multidimensional bodies. The Golden Ray of Unity Consciousness that is streaming into the Earthplane from the Great Central Sun is now supporting the mass cleansing of these entities. This means we are being supported to rid ourselves of all parasites with greater ease. As we raise our vibration we become more empathetic which means that any emotions that do not belong to us are becoming more apparent. It’s important not to be afraid of malicious entity attachments because (a), fear is what feeds them, and (b) they have no power over us, unless we give it to them. As soon as we see them for what they truly are, which is inherently weak, powerless parasites that can not survive without our compliance, they no longer have any power over us. They rely on the illusion to survive. The best time to rid ourselves of both mind parasites and physical parasites is beginning at the full moon through the waning moon until the new moon. Research shows this is when they are most active, and it is common knowledge that incidents of hospitalisation peak during a full moon. Be aware that discordant energies are not personal. They are merely impure thought forms fighting to survive. If you’re sad inside, even if outwardly happy, they will pick up on this vibration. Often when we are not living our Truth we are susceptible to entities. So, what is the key? Truth. All fears can be traced back to the moment of the illusory separation from the Divine. The Truth is there is no separation, and so when we realise and embody this Truth we are 99% of the way to ridding ourselves of all discordant energies. Separation is merely a misunderstanding with no-one to really blame. If we keep this in mind while requesting that all entities be released from our field we can genuinely release that which does not serve us without judgement and with unconditional love. When we each embody our soul’s Truth of unity with the Divine, everything that is not in alignment will be dissolved by the Light.